On the top of the World...: Science Experiments on Natural Disasters for kids of WIS,Udaipur. 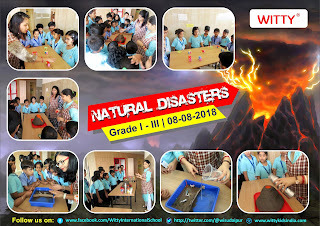 Science Experiments on Natural Disasters for kids of WIS,Udaipur. No part of earth is immune to natural disasters. Children are naturally curious about their surroundings and such disasters fill them with anxiety, questions and confusions. Science experiments are projects can teach students about nature and its potential catastrophes. By understanding these natural events, children can cope better with the similar natural energies they encounter. 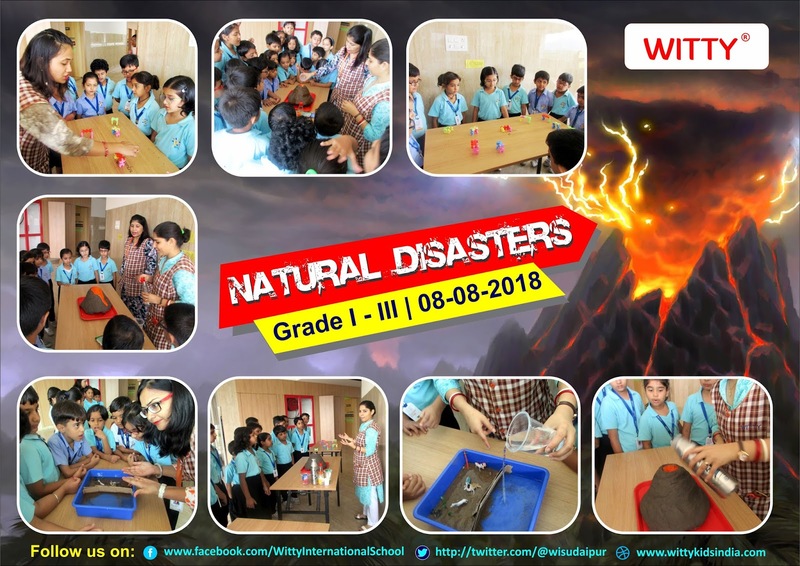 Keeping this in mind, students of Grade I, II, and III Cambridge at Witty International School, Udaipur were shown and explained various experiments related to flood, earthquake and volcanic eruption. These experiments helped them to nurture their skills at goal setting, planning and problem solving. They acquired new ways of asking questions and understanding the natural world.